Nearly 20 years after his first go around with a startup football league, WWE founder Vince McMahon is ready to take another shot at establishing a new professional football league. The 72-year-old billionaire announced last week that he would be relaunching the XFL in 2020 with eight teams of 40 players and a 10-week season. "The new XFL is an exciting opportunity to reimaging America's favorite sport. As we move towards kickoff, we look forward to listening and implementing innovative ideas from players, coaches, medical experts, technology executives, the media and most importantly football fans." The WWE filed paperwork with the SEC a month ago stating that McMahon sold 3.34 million shares of WWE stock for roughly $100 million in order to fund Alpha Entertainment and its ventures, which included "professional football." WWE's stock price dropped just over 7% after it disclosed the same of McMahon's shares. Even with the sale, McMahon remains the largest shareholder of WWE. He intends to also remain its CEO and chairman. The XFL originally launched in 2001 as a joint venture with NBC, back when NBC didn't have any NFL television rights. The XFL marketed itself as a harder-hitting league than the NFL. The rules of the XFL banned artificial turf, point after touchdown kicks, and fair catches. Also, instead of a coin toss to determine the opening possession, the players took part in an "opening scramble." A player from each team battled to be the first to grab the football 20 yards away. In the XFL, the play clock is also just 35 seconds, five seconds less than in the NFL. Back in the original XFL, all players made less than $5,000 a week. According to records filed with the U.S. Trademark and Patent Office, on December 16th, Alpha Entertainment filed for five XFL-related trademarks. The XFL lasted for just one season back in 2001 and lost a ton of money. Both McMahon's WWE and NBC each lost $35 million. Only time will tell if the world is ready for the XFL again. 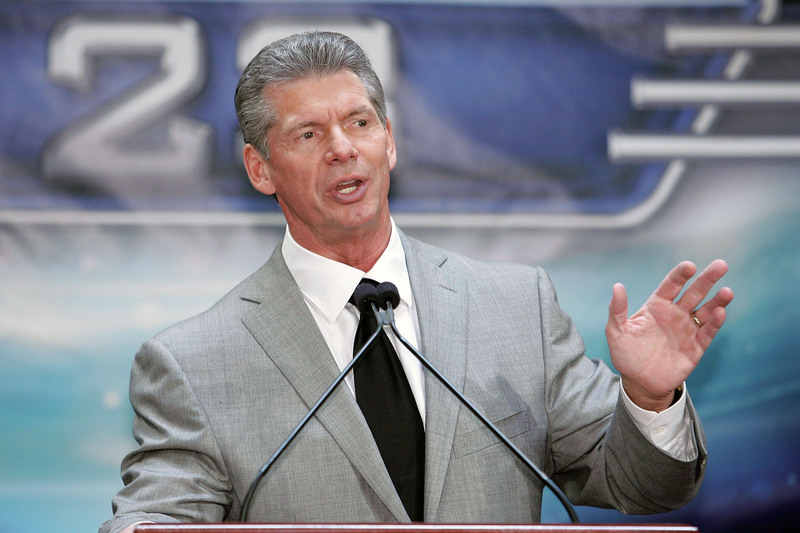 Vince McMahon has a net worth of $1.6 billion.